“AstraZeneca Cutting Jobs” is the front page headline in the December 9th issue of The News Journal. That chilling announcement should be cause for alarm among all taxpayers and working families in Delaware. The reality check that should be paramount in the minds of all legislators is the direction that Delaware’s economy is headed and what this Administration has done to exacerbate the decline. AstraZeneca is just the most recent failure of a costly economic adventure paid for with taxpayer resources. 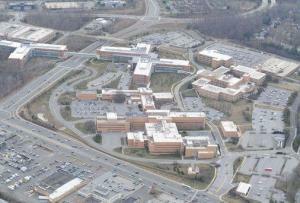 In 1999, then-Governor Tom Carper spent $40.7 million in taxpayer money to incentivize AstraZeneca to move its corporate headquarters to Fairfax with the premise/promise of an increase of jobs from 2,400 to 4,000 by 2004. Peak employment hit 5,000 in 2005, but the job totals, at this facility, after these recent projected cuts is down to 1,500 (far less than the 1999 total of 2,400, 38% less in fact, and a far cry from the 5,000 high-water mark of 2005). 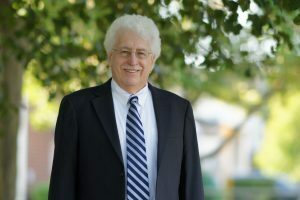 Additionally, there was an outlay of Delaware taxpayer money to the tune of $70 million for new road improvements in Fairfax at the company’s site. Since AstraZeneca has put its campus on the sales block, all taxpayers in Delaware can come to terms with the fact that their $70 million road improvement will upgrade the value of AstraZeneca’s property tenfold or more. That seems to be a pretty nice deal for AstraZeneca and not fruitful at all to the taxpayers. It is well past time to reevaluate our corporate policies of giveaways and cuts. There has invariably been little to no return on investment, and the outflow of money must be staunched. If this particular circumstance was the exception, perhaps we could look at it in a different light, but this unfortunate outcome has become the rule. In August, when Governor Markell proudly announced that AstraZeneca’s plant closing in Pennsylvania would result in a relocation of 134 workers to Delaware, we might have felt some pleasure in our good fortune notwithstanding the job losses affecting our neighboring state, but simple math would suggest that the proposed cuts here are at best a net gain of 14 jobs. No amount of hand-wringing sympathy or words of condolence for those workers, such as “My heart goes out to the employees and families impacted by this announcement” or “We have a responsibility to give these workers access to resources to support their next steps, including our rapid response team from the State Department of Labor” as Governor Markell stated, would seem to assuage the tragic economic circumstances of being jobless at Christmas. I certainly do not anticipate those state resources involve paying for many Christmas presents. This current situation seems to define the futility and fruitlessness of this Administration’s economic path to prosperity. The “Corporate Welfare” policies of this Administration have cost the Delaware taxpayers $250 million during Governor Markell’s term. This irresponsible wasting of the taxpayer dollars has resulted in no discernible return on investment and has stopped absolutely no job losses from these wealthy corporations. Tens of millions were given to DuPont by the state (additional tens of millions from New Castle County), and the net outcome can be tabulated as a loss of 1,700 well-paid research jobs from Delaware, in addition to the post-Dow-merger Pioneer Seeds spinoff resulting in hundreds of jobs moving to Iowa while keeping a handful of jobs here at the Wilmington headquarters. Also, we should consider the fact that the proposed Pioneer Seeds facility construction in Newark was halted, permanently it appears. Further compounding this Administration’s erroneous economic missteps is the recent policy that was hurriedly passed without public input, despite my “no” vote and objections, labelled the “Delaware Competes Act.” This corporate giveaway, combined with the “The Commitment to Innovation Act,” will forfeit more than $60 million in revenue to the wealthiest corporations with absolutely no appreciable effect to retain or grow jobs. Neither of these misguided economic policies will reinforce local business growth or stability, and instead will leave an increasingly gaping hole in Delaware’s budget that the Legislature will attempt to fill on the backs of state employees, seniors, and the poorer families in Delaware. Adding to the insult of these types of corporate giveaways is the actual statistical proof that these types of bribes and irresponsible economic policies have been marked by failure after failure at an unaffordable expense. A cursory view of past economic practices shows that $22 million went to JPMorgan, which profited to the tune of $24.5 billion last year with “promises” of job growth that would inevitably have occurred without this taxpayer outlay. Also consider the $11 million gift to Incyte Corp. with the promise of creating 130 jobs in the future on the heels of the announcement by Incyte Corp. that they were laying off 137 Delawareans. The Fisker Automotive and Bloom Energy debacles speak for themselves as monuments to irrational and irresponsible wastes of taxpayer dollars. One tenth of that $250 million being diverted to supporting locally-based businesses for job growth, infrastructural investments, and production improvements via tax credits and subsidies would ensure a healthy and robust growth in our local communities and not end up in the pockets of corporate profiteers. 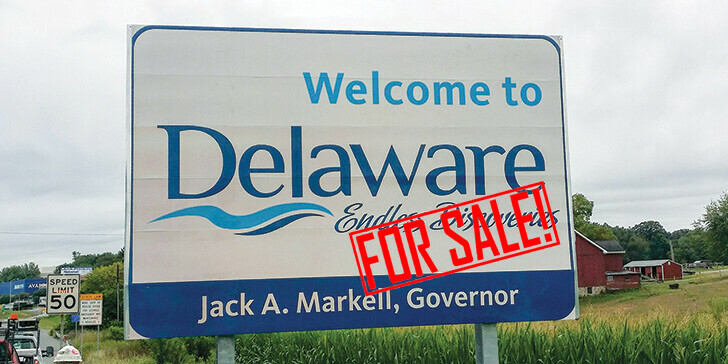 Call your legislators and demand that they resist this callous and flawed attempt to redistribute and divert revenues from Delaware families into the coffers of wealthy corporations.